Jeff and I are THRILLED to announce we are expecting our first child! On the brink of our one year anniversary, we made the official announcement. 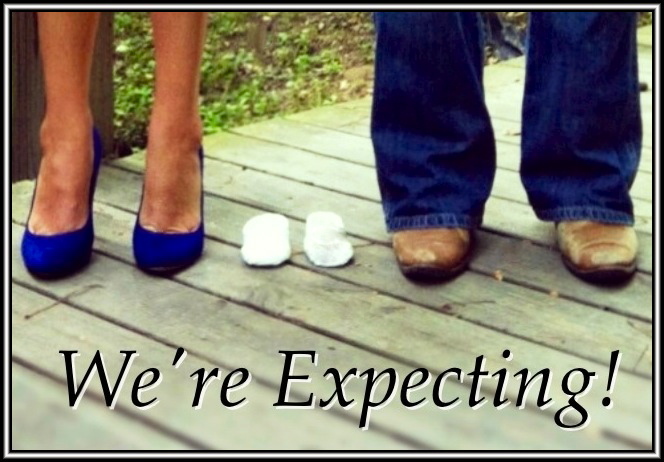 Our family is growing by two tiny feet on January 28, 2013! Since we have known for awhile, and since some hilarious things have happened leading up to the moment when we could tell the world… I feel inclined to share. Bud and Nance, both, are over-the-moon thrilled about little “bean” coming into our lives. Bud thinks it will be a boy, naturally, and he’s already named him. In fact, he named him before I was even was married. Believe it or not, we love the name… but are choosing to keep it a secret until “bean” arrives. Bud says he’s going to buy “bean” Power Wheels, he’s going to jack it up and slap on some rims, maybe some XM radio. This kid will have a better ride than his/her parents. One of the first things Bud tells me is I can no longer pick up and carry groceries, water bottles, or my dogs. Mind you, we have two labs that weigh about 100 lbs. each. I can’t remember a time I ever picked up my dogs and carried them around. I am also forbidden from vacuuming for the next six months. Bud also suggested I go to Toys R Us and invest in a baby doll. That way the dogs have an idea of what is in their future. I received a text from my mom the other day telling me I needed to talk to my father. Apparently, he had made an appointment with his general practitioner to ask him for a list of things I can and can not do. 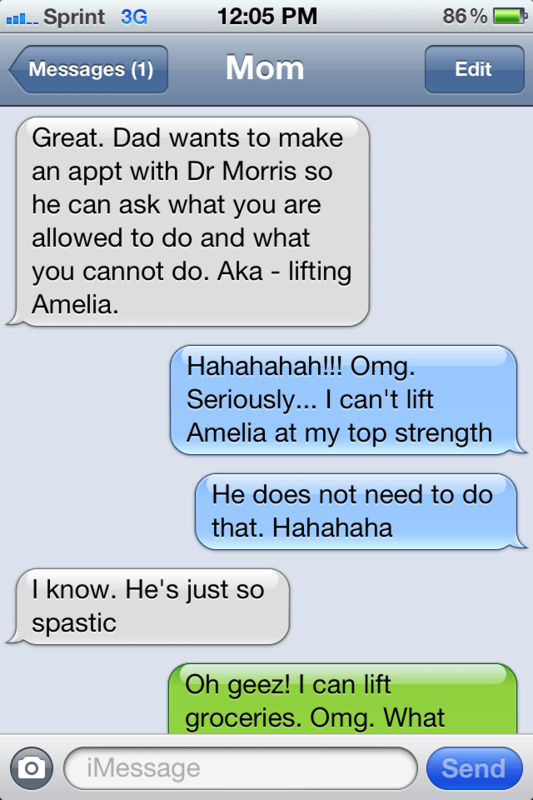 I called him up, “dad, you do not need to see Doc Morris about my condition.” It took some convincing, but he eventually cancelled the appointment. Meanwhile, back in my camp, I feel good. The first three months were rocky. I was sick at times, and terribly TIRED! I hibernated most days like a mama bear. I am feeling tons better, and hoping it is down hill from here…. until the dreaded last trimester when I will be as big as a house and probably will be back to my new saying…. 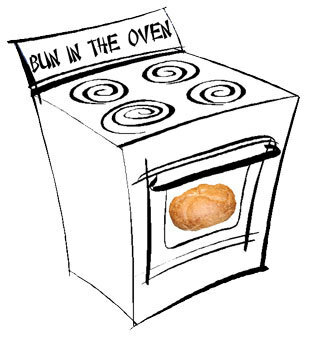 Bun in the oven, head in the toilet.